An exit popup is a message that displays to users as they are attempting to navigate away from your site. The most common use for an exit pop is to show a message explaining why users shouldn’t leave the site. 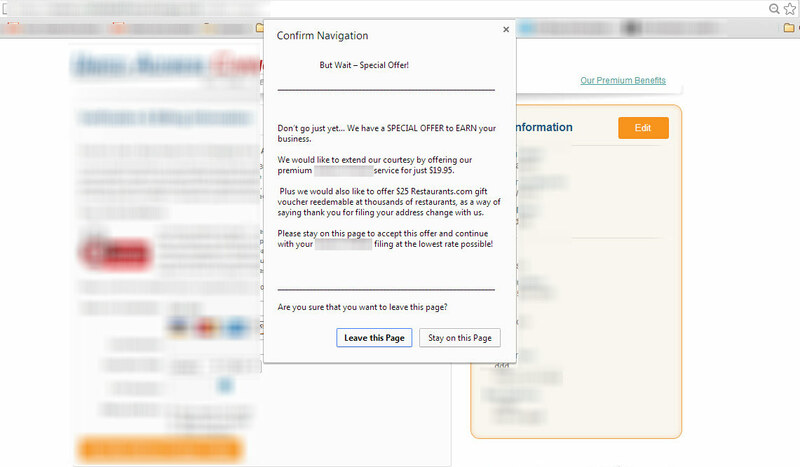 For example, when a user decides to leave, a pop-up will show a design, text, or video on top of the original page which contains an offer, explanation, or promotion. Sometimes this offer contains the same messaging that exists throughout the site, and sometimes it contains a new, special offer as a last-resort attempt to turn that visit into a conversion. This type of exit pop appears when a user clicks the “x” to close the tab. The exit pop is an automated one that cannot be designed. The only thing that can be altered on it is the text itself. This is easier to implement as it has no design work, but at the same time it’s generally viewed as the more aggressive type of exit popup. This exit pop can be designed the way you want it to be. It’s triggered by mouse movement – once a user moves his cursor out of the current tab, the pop will appear with its own design and messaging. These are versatile – a whole range of designs and interactive elements can be used here. And, for the less development savvy, there are all kinds of plugins and pre-defined scripts to make this process easier. Promotion – Some websites use the exit popup to offer new promotions and special deals. While the users may have thought of leaving before, the site gives the users a last minute offer that may change their minds. Warning – Many exit popups are used to warn the user about loss of information. It’s a common tactic to use these exit popups to let users know all their data will be removed if they leave the site. Quick Navigation – A great way to use an exit pop up is helping the user complete his task quicker – offering an option to jump to the end of the funnel. Questionnaire – Another way to use exit popups is to collect data from visitors. Decide on one question you may want to ask visitors and getting visitors to answer before they leave. Lead collection – Many websites use the exit popup to collect for their newsletter or other needs. It’s a great way to get people’s information before they leave, especially if they’ve had a good experience, and to use it later for promotions, inbound marketing and more. Exit popups are so common because they allow you to add onto your page without really changing anything already there. There are many ways to personalize the exit pop up according to the visitor’s place on the site and behavior. Use the exit pop to the full extent and remember not to “spam” your user, but to offer actual beneficial value. 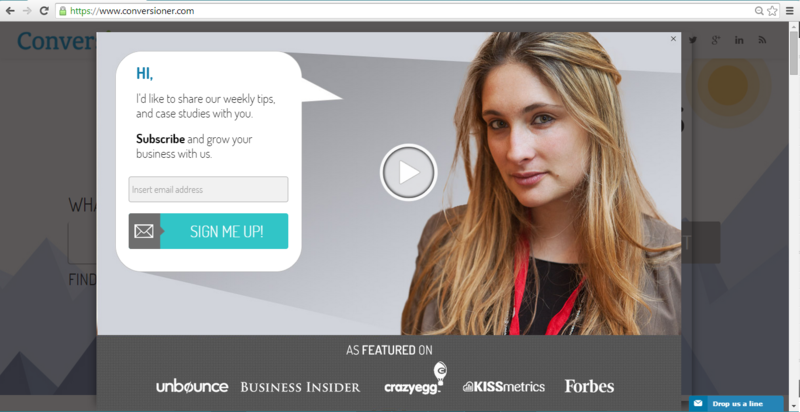 When thinking about conversion optimization and maximizing your traffic’s ROI, an exit popup is a great way to start.